Online game mobile extreme called the Clash Royal Korean version: MapleStory Blitz has officially opened. MapleStory Blitz is a "master" product released by Nexon for the purpose of building a new "universe" Maple difference. Rather than being an RPG like the older ones, MapleStory Blitz brings in the MOBA tactical element that blends extremely attractive cards. No offense when commenting that, Maple Blitz X is very cute Korean version Clash Royale. And like Clash Royale, players need to unlock as many cards to build their own strong army. 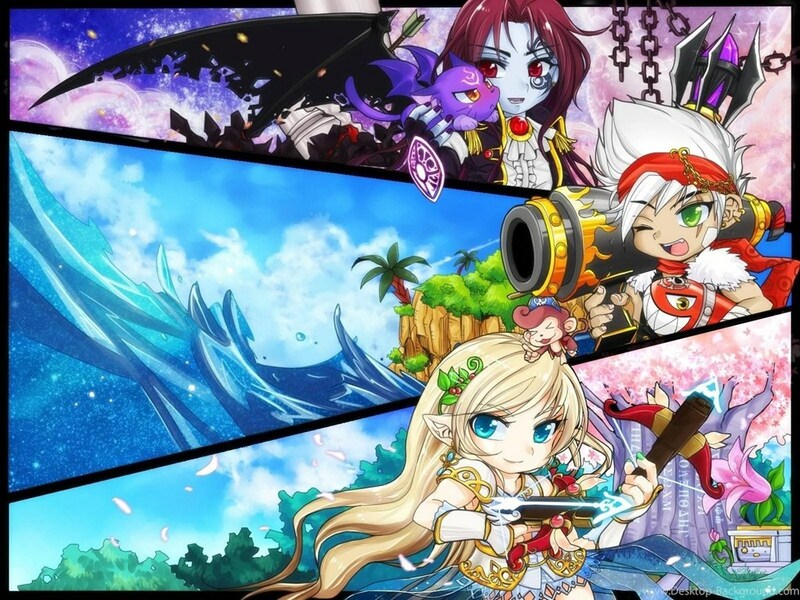 MapleStory Blitz provides a character system with six heroes named Mercedes, Phantom, Kyrin, Oz, and DemonSlayer for players to choose to return to the Maple world against the Black Mage. Each character has different playing styles and cards. In this mode, many gamers associate the play style that was once used on another card game, Hearthstone. Coming to MapleStory Blitz, players also experience a variety of attractive gameplay modes from PvE to PvP, boss hunts to receive packs and additional openings to their powerful collections. The packs will be opened by level, by their rare degree.